I have been hanging a bunch of moulding and beadboard and I am so excited! I can’t wait to show you! 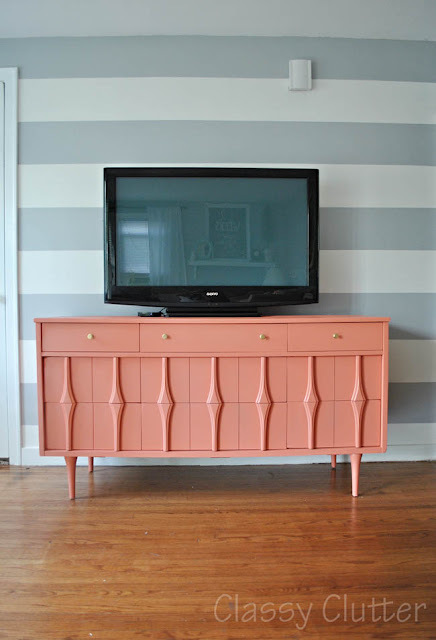 Classy Clutter painted her tv dresser coral and it just looks so fab with those striped walls! I love this vacation sand art from Free Stylin’. Such a great idea. At Home in the Northwest hung a porch swing and it just looks so perfect and cozy. 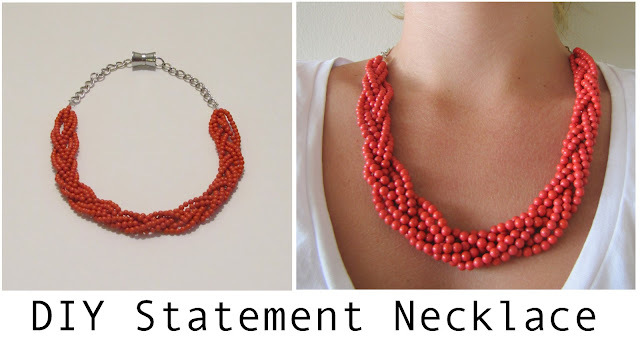 I am drooling over this pretty necklace that Nelle Creations made. These tiny chalk canvas placecards are just too cute! See how to make them at Yesterday on Tuesday. 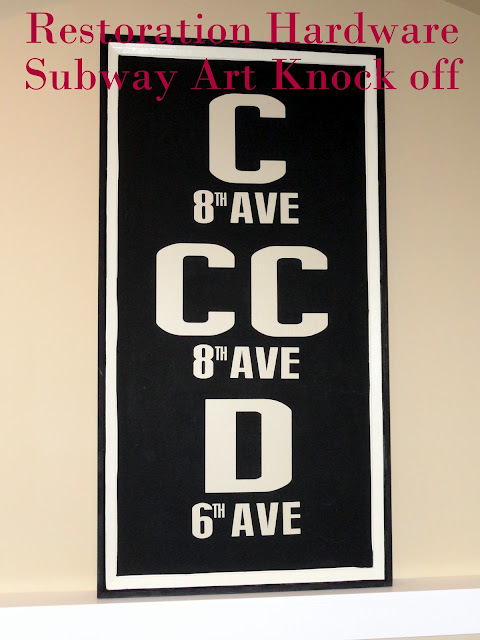 This Restoration Hardware inspired subway art from Holy Craft is pretty awesome. Check out this cool dresser makeover from The DIY Village. I love their blog! 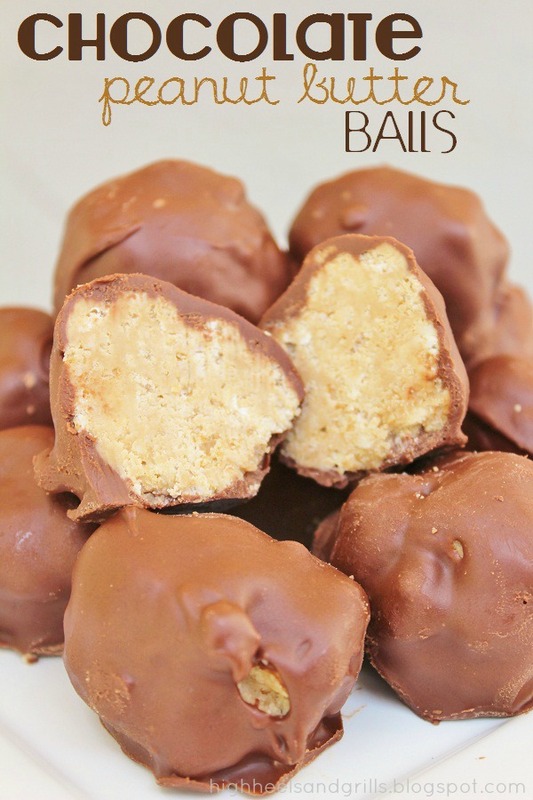 These Chocolate Peanut Butter Balls from High Heels and Grills look so amazing! And you can even make them gluten-free! Double bonus. The Seasoned Homemaker redid her living room and I can’t get over how much I love it. Young and Crafty made a trough with dividers using an old pallet. Resourceful and very cool. This little paper airplane mobile from Architecture of a Mom is so charming. It would look great in a little boys room. 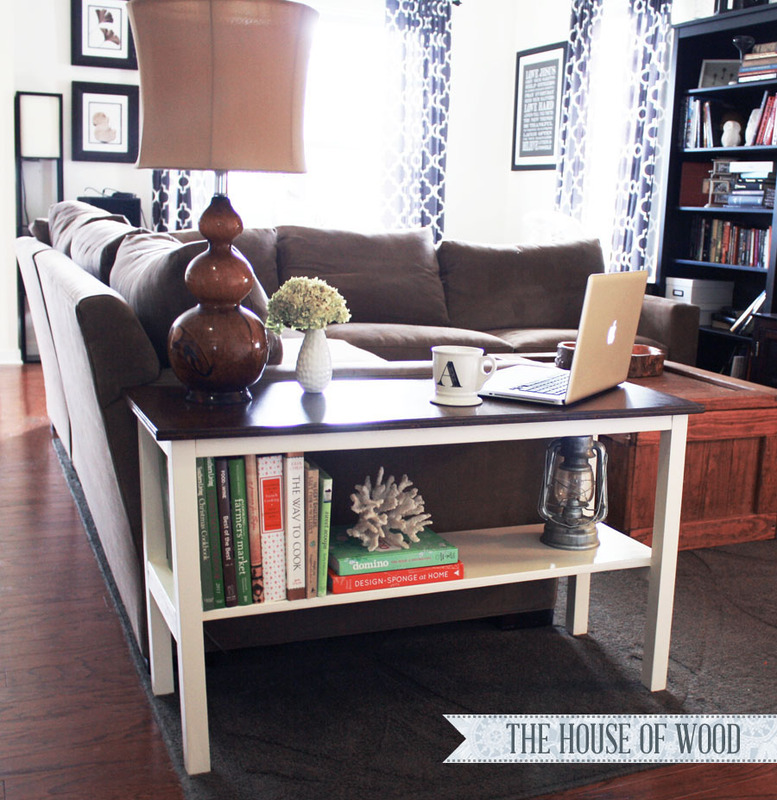 The House of Wood build this table and shares a great tutorial so you can make one too. It’s seriously the perfect size to put next to a sectional. Thanks for featuring my airplane mobile! Love your blog & party! Great features, Allison! Can’t wait to see your beadboard and moulding project. As always, thanks for hosting! Thank you so much for featuring my trough! Thanks for hosting. Sorry I accidentally put my recipe in the wrong spot! Thanks for the party, Allison. Sorry to bug you, but I accidentally linked food in the crafty section. Please delete link #46. Thank you so much for the feature! 🙂 You’ve made my day! By the way, The Seasoned Homemaker’s living room reminds me so much of your family room. Don’t you think her chairs would look awesome in your room? Thanks for hosting, Alison! Hope you are having a good week! Thank you for the feature!!! It’s much appreciated! Thank you for hosting! I love the bead board in my kitchen! Hope you enjoy yours! Love seeing you son in the Vader Helmet. Classic Pictures! Great party here. Have a fantastic weekend! Great list already! I was get ideas from all these talented people! Thanks for hosting! Thanks for hosting a great party! Lovely link ups already!! Thanks again Allison! Your party rocks! Thanks for featuring my living room redo. I bought everything right here in Austin, TX. Hey Allison, thank you for hosting! I’m linking up my new mom cave/ office. You should see the before pics…yikes! Have a great weekend! Allison, I’m a little late in thanking you for the feature, but I wanted to make sure that you knew how honored Jacque and I are! 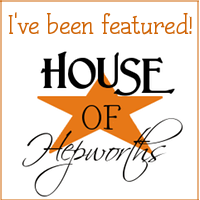 We love House of Hepworths, it’s one of the first blogs that Jacque originally introduced me to, so I consider it quite an accomplishment to hear that you’re a fan! As always, thank you for taking the time to host, and hope that our paths cross again soon!